Adding color to your wardrobe? Challenge accepted. You may think there’s too much risk in going too far, too loud or clashing too hard, resulting in a fashion faux-paux. However, with our short list of easy tips, you can tastefully combine neutral hues that are already in your closet (or on their way to be) and even test out a bold, unexpecting pairing. Read on to get the rundown on colorful ways you can mix hues. When pairing this duo, remember to make the shades as contrasting as possible, so it doesn’t appear accidentally mismatched. If your blue is super bright, adding black will complement it, instead of fight it for attention. So when in doubt, just add black. If you’re wearing blue up top with black pants, layer on a black topcoat and black shoes. 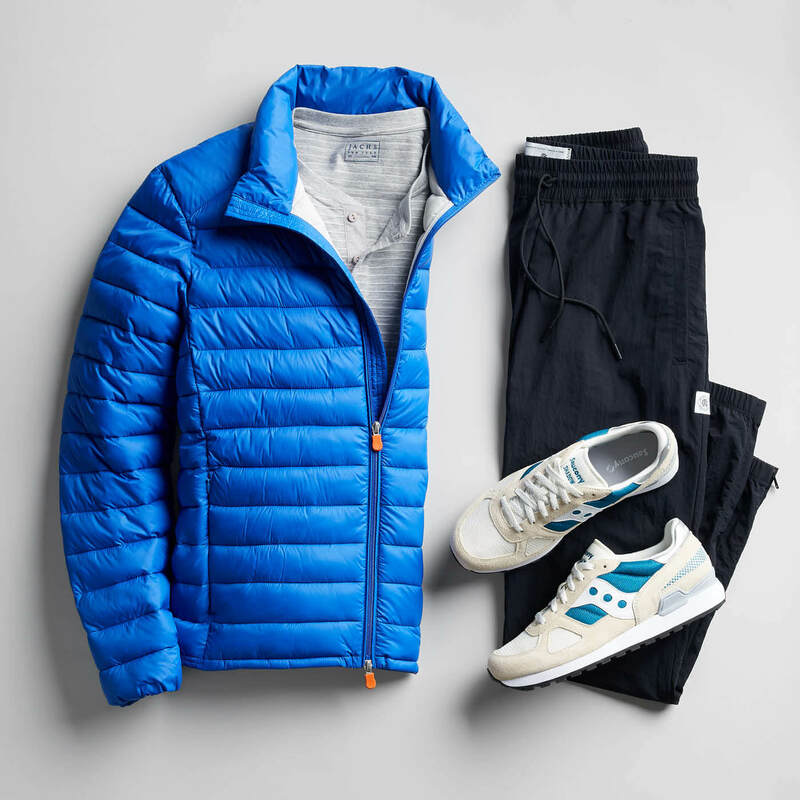 When you’re comfortable, take it up a notch with blue accents throughout, like stripes in sneakers—small details matter. You may think two neutrals automatically match, and this case, you’re right. These two shades work well together, regardless if you’re look is casual, dressy or a mix of both. Differentiating between darks and lights still applies, so opt for a lighter gray. 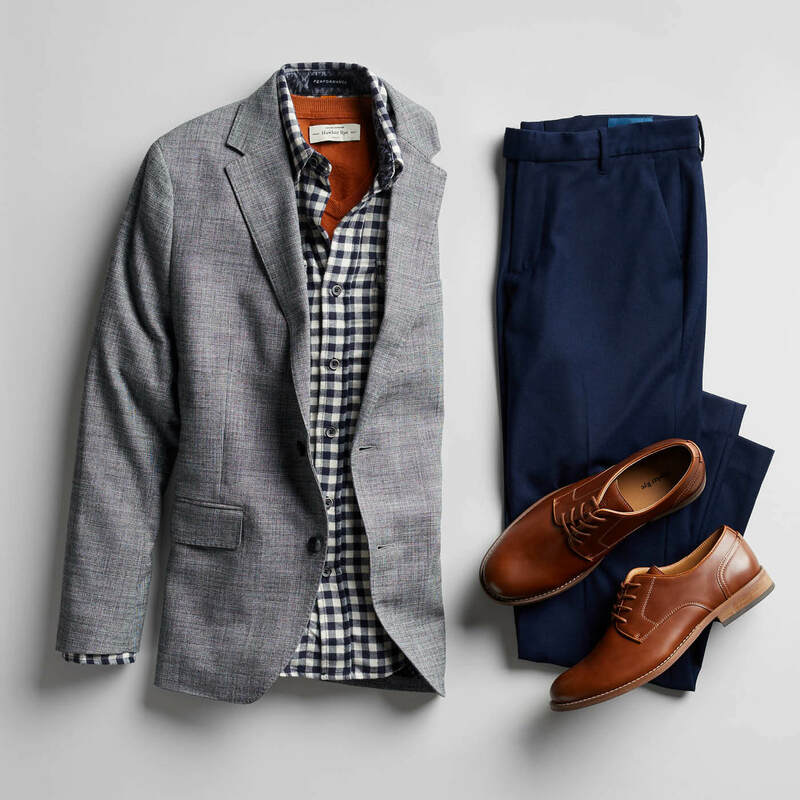 This combo works both ways: black blazer with gray pants; jeans or gray jacket/sweater/shirt with black pants. And since you’re in neutral territory, it’s easier to play with an unexpected addition, like a pop of red. We know, it seems very loud, but you got this. The union of two classics that not only play well with others, but very well with each other is a beautiful thing. Both are cool tones which go with warmer ones such as browns or tans—think of these colors for accent pieces or shoes. If you want to branch out from the everyday, use texture and pattern to add visual interest. Remix a typical 9-to-5 look: gray blazer, navy pants, black patterned shirt (remember, gray and black match well) and a burnt orange sweater as a surprising element. Style rules are meant to be broken. Wearing these two shades together used to be a definite don’t, but they actually complement each other. You just need to get creative with each item’s shape, texture and fabric. 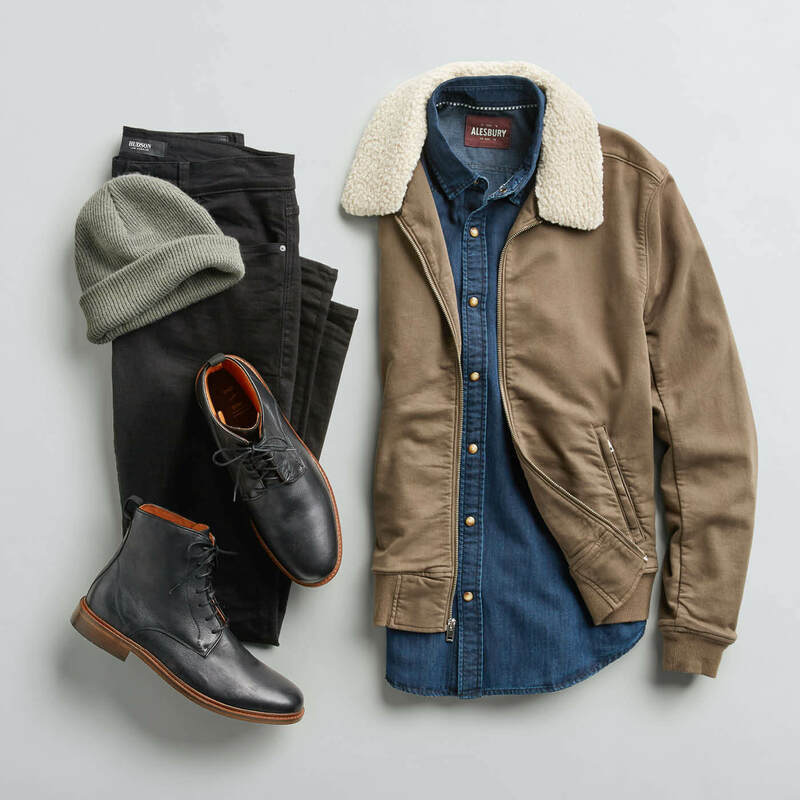 Make it look purposeful—a brown jacket with some texture and black jeans just needs black shoes to round out the look (remember that tip to add more black from earlier? This tip works with brown, too). Keep the contrast blatant with a lighter brown so it, again, reinforces your purposeful choice to add these colors—and that you know what you’re doing. Now that you’ve got a handle on neutral hues, it’s time to throw in a curveball. The key is to keep everything as simple as possible. Solid hues are a good place to start. 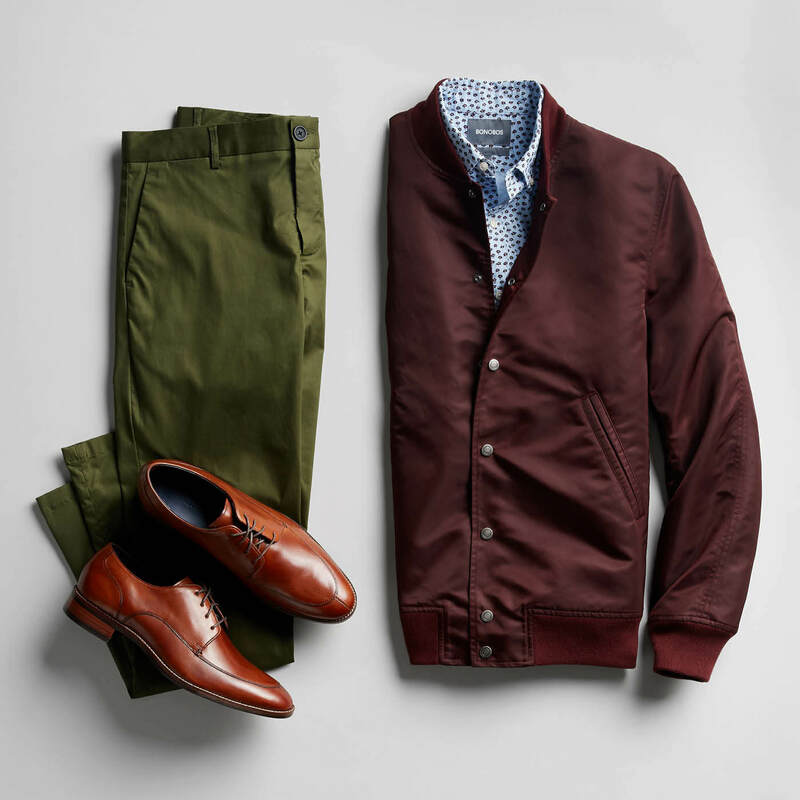 An olive green chino can be just as versatile as a black pair, and takes your look up a notch. Now comes the fun part. Since green sits opposite of red on a color chart, they naturally complement each other. Experiment with various depths of reds, like burgundy, for a vivid combo. Feeling extra daring? Try a shirt with a small, non-obtrusive print. Successfully adding new color combinations to your wardrobe is doable. Test drive our tips and let your sense of adventure take over and just go for it. 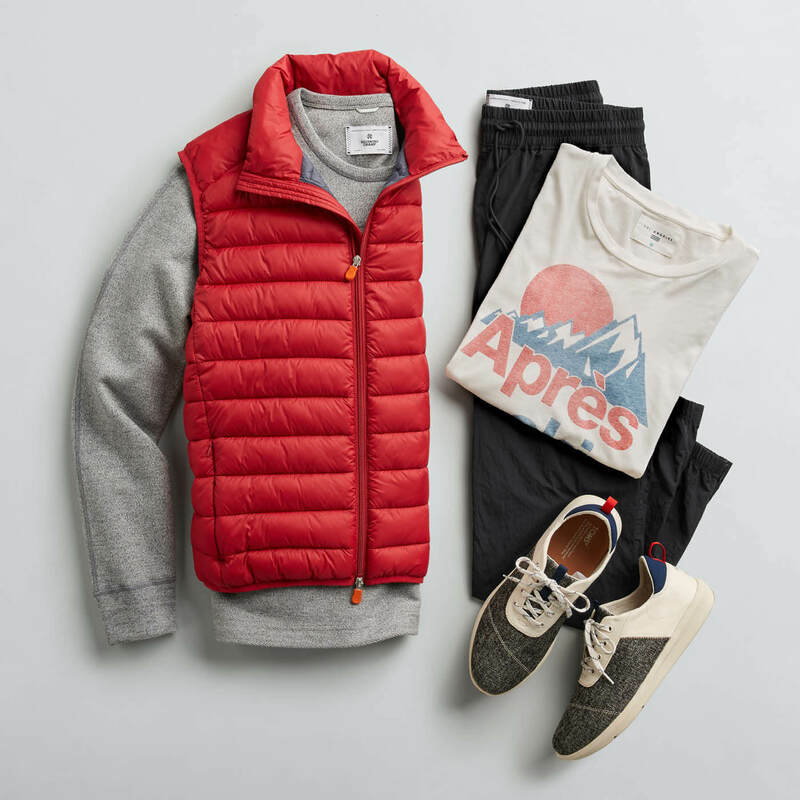 Once you figure out what you’re down to try, ask your Stylist to send you some neutrals, brights and a few in-betweeners.